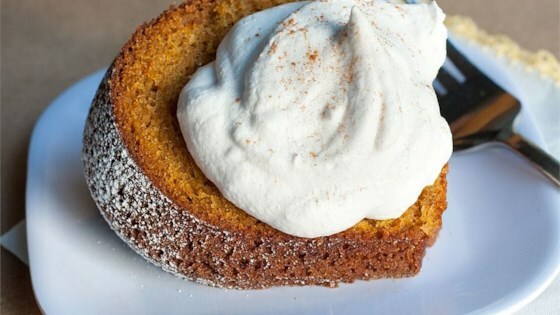 "Delicious pumpkin spice cake baked in a sheet pan. Very moist and great for potlucks. When cool, top with your favorite cream cheese frosting." Moist, delicious cake. I converted it to cupcakes by just reducing the baking time to 20 minutes. I will definitely add this recipe to my recipe box at home.